Hans Morgenthaler (known as Hamo) was born in 1890 in Burgdorf. His father was a lawyer and also mayor of Burgdorf. Hamo's mother passed away when he was just eleven years old. After finishing school, Hamo studied Zoology and Botany at the ETH in ZÃ¼rich. He doctored in Science; his thesis was dedicated to the Betula alba (birch tree). Hamo also studied Geology and worked as a geologist in Southeast Asia, localizing gold, silver and tin ore in the region's forests. Hamo was forced to return to Switzerland after contracting Malaria. Thereafter he dedicated himself to writing, living alternately in ZÃ¼rich, Bern and Cassarate. His professional and personal experiences in Asia flowed into his literary output, notably in his two works "Matahari" and "Gadsha puti". He also gave numerous lectures and presentations of his geological findings and experiences in Southeast Asia. Hamo had a passion for mountaineering, but suffered a severe frostbite, loosing the tips of all of his fingers on his ascent of the TÃ¶di in 1911 and abandoned mountaineering entirely in 1920. He was related to the Swiss artist Ernst Morgenthaler. They were cousins and it was Ernst who introduced Hamo to Robert Walser in 1922. 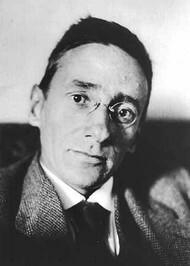 At roughly the same time, he also visited Hermann Hesse at his home in Montagnola, Hamo revered Hesse above all other German-writing authors. Shortly thereafter, Hamo was diagnosed with tuberculosis and from 1922 to 1924 he intermittently spent several months in different sanatoriums in Grisons. While in Arosa, he made the acquaintance of many other artists who would have a strong impact on his later life and work: the artists couple Ignaz (1892â€“1969) and Mischa Epper (1901â€“1978), the painter Fritz Pauli (1891â€“1968) as well as Lizzy Quarles van Ufford, Mischa Epper's sister, with whom Hamo spent a week in Ascona. The main character of Hamo's novel "Woly, Sommer im SÃ¼den" is modelled on Lizzy. It is precisely at this point that Hamo's life started to veer uncontrollably off track. Suffering again from a further bought of bad health, he returned to Arosa where he met the author Jakob BÃ¼hrer (1882â€“1975) and his wife Elizabeth. A love affair developed between Hamo and Elizabeth and when she finally decided to return to her husband, Hamo stormed into the couple's flat in a fit of rage, wrecking their home. He then fled, seeking refuge at his cousin's, the psychiatrist Walter Morgenthaler (1882â€“1965), and was treated in the Wyss clinic in MÃ¼nchenbuchsee. On his cousin's advice, Hamo was admitted to the Waldau psychiatric clinic near Bern for further treatment, where he remained until Autumn 1925. Es wird die erotische Entwicklung eines Mannes anhand der Begegnung mit zehn Frauen erzÃ¤hlt. Seine Erlebnisse reichen von der Zeit als Twen bis ins reife Mannesalter. Mit jeder Frau treffen ihn neue Ã¼berraschende Ereignisse, die so in keinem Ratgeber fÃ¼r Erotik oder Lebenshilfe zu lesen sind. Frust und Lust halten sich dabei meist die Waage. Zu lachen hat der Mann im erotischen Umgang mit Frauen hin und wieder auch etwas, aber meist gehen die Ereignisse Ã¼ber ihn hinweg und dann bleibt ihm nur noch das GrÃ¼beln, warum denn alles wieder so merkwÃ¼rdig gelaufen ist.